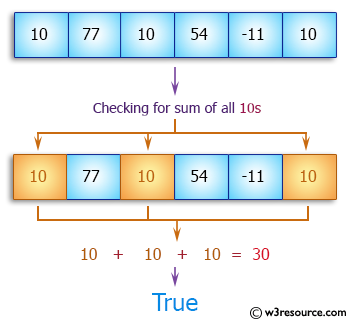 Write a Java program to check if the sum of all the 10's in the array is exactly 30. Return false if the condition does not satisfy, otherwise true. 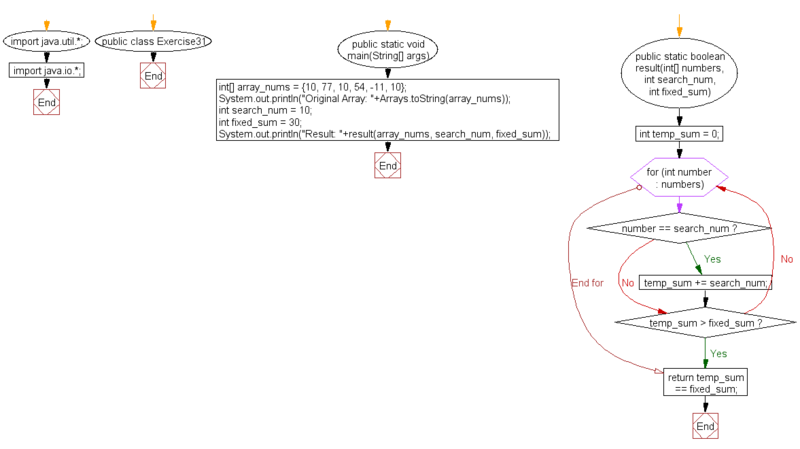 Previous: Write a Java program to check if an array of integers without 0 and -1. Next: Write a Java program to check if an array of integers contains two specified elements 65 and 77.